​Until Shiloh Comes ~ The version below is a different proportion from the image above. The one below is not for a standard size frame. Note in comments when ordering if you want this printed without the words "Until Shiloh Comes." "The scepter shall not depart from Judah, nor a lawgiver from between his feet, until Shiloh comes; and to Him shall be the obedience of the people." 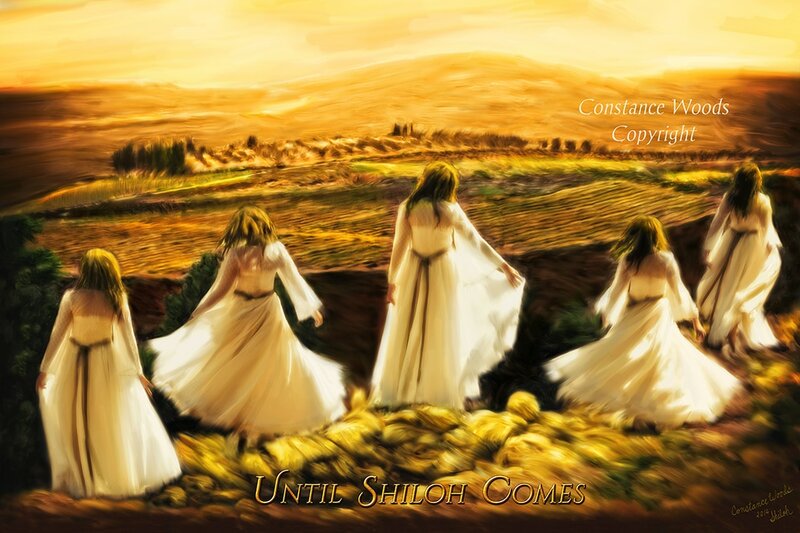 This new prophetic artwork was inspired by an encounter with God in Israel, at Shiloh, on March 17, 2014. As Purim was ending, two friends and I took on the high place worshipping El Olam - The Everlasting God. Singing Kadosh, and overlooking the vineyard, a very strong wind began to blow. We became increasingly aware of God's heavy presence and the winds began to blow stronger and more intense. We encountered the Ruach HaKodesh, the winds of God that words fail to describe. We all sensed a major shift in the atmosphere. This can be ordered with or without the words "Until Shiloh Comes." To order without, please specify in comments. After the digital painting was completed, I found a Bible story that I was not familiar with, it strongly speaks for today: Judges 21 - paraphrased: The tribe of Benjamin had come out of battle, they had no wives and their tribe was in danger of diminishing. The leaders told the men of Benjamin - go hide in the vineyards, wait and watch. 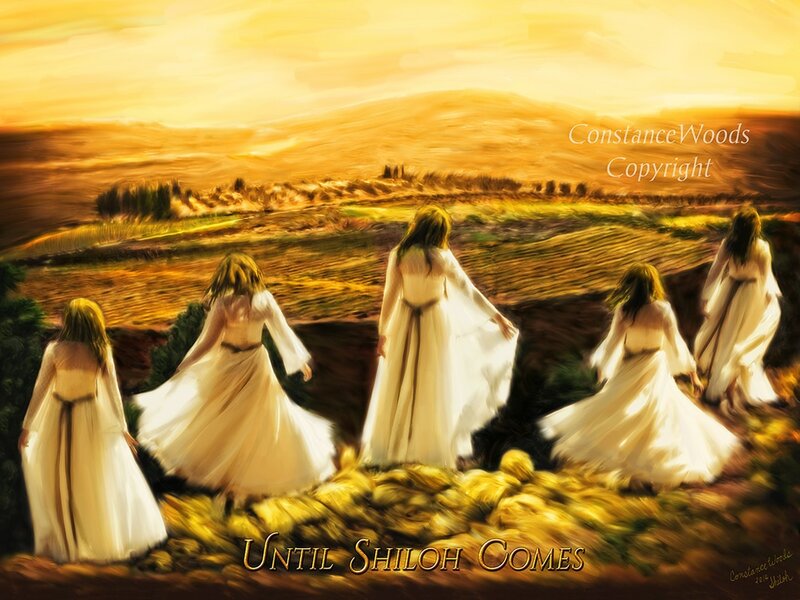 When the daughters of Shiloh come out to dance (during the feast), come out from the vineyard and take for yourself a wife from the dancing daughters of Shiloh! !